You must be able to load your data before you can start your machine learning project. The most common format for machine learning data is CSV files. There are a number of ways to load a CSV file in Python. In this post you will discover the different ways that you can use to load your machine learning data in Python. Update March/2017: Change loading from binary (‘rb’) to ASCII (‘rt). Update March/2018: Updated NumPy load from URL example to work wth Python 3. Photo by Ann Larie Valentine, some rights reserved. There are a number of considerations when loading your machine learning data from CSV files. For reference, you can learn a lot about the expectations for CSV files by reviewing the CSV request for comment titled Common Format and MIME Type for Comma-Separated Values (CSV) Files. Does your data have a file header? If so this can help in automatically assigning names to each column of data. If not, you may need to name your attributes manually. Either way, you should explicitly specify whether or not your CSV file had a file header when loading your data. Does your data have comments? Comments in a CSV file are indicated by a hash (“#”) at the start of a line. If you have comments in your file, depending on the method used to load your data, you may need to indicate whether or not to expect comments and the character to expect to signify a comment line. The standard delimiter that separates values in fields is the comma (“,”) character. Your file could use a different delimiter like tab (“\t”) in which case you must specify it explicitly. Sometimes field values can have spaces. In these CSV files the values are often quoted. The default quote character is the double quotation marks “\””. Other characters can be used, and you must specify the quote character used in your file. This means that you can copy and paste it into your project and use it immediately. If you have any questions about these recipes or suggested improvements, please leave a comment and I will do my best to answer. The Python API provides the module CSV and the function reader() that can be used to load CSV files. Once loaded, you convert the CSV data to a NumPy array and use it for machine learning. For example, you can download the Pima Indians dataset into your local directory (update: download from here). All fields are numeric and there is no header line. Running the recipe below will load the CSV file and convert it to a NumPy array. The example loads an object that can iterate over each row of the data and can easily be converted into a NumPy array. Running the example prints the shape of the array. For more information on the csv.reader() function, see CSV File Reading and Writing in the Python API documentation. You can load your CSV data using NumPy and the numpy.loadtxt() function. This function assumes no header row and all data has the same format. The example below assumes that the file pima-indians-diabetes.data.csv is in your current working directory. Note: This example assumes you are using Python 3. Again, running the example produces the same resulting shape of the data. For more information on the numpy.loadtxt() function see the API documentation (version 1.10 of numpy). You can load your CSV data using Pandas and the pandas.read_csv() function. This function is very flexible and is perhaps my recommended approach for loading your machine learning data. The function returns a pandas.DataFrame that you can immediately start summarizing and plotting. The example below assumes that the ‘pima-indians-diabetes.data.csv‘ file is in the current working directory. We can also modify this example to load CSV data directly from a URL. Again, running the example downloads the CSV file, parses it and displays the shape of the loaded DataFrame. To learn more about the pandas.read_csv() function you can refer to the API documentation. In this post you discovered how to load your machine learning data in Python. Load CSV with Python Standard Library. Load CSV File With NumPy. Load CSV File With Pandas. 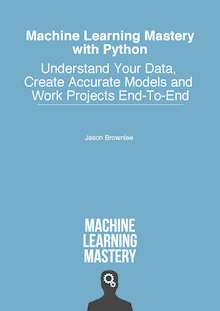 Your action step for this post is to type or copy-and-paste each recipe and get familiar with the different ways that you can load machine learning data in Python. Do you have any questions about loading machine learning data in Python or about this post? Ask your question in the comments and I will do my best to answer it. What is meant here in section Load CSV with Python Standard Library. You can download the Pima Indians dataset into your local directory. Where is my local directory? It means to download the CSV file to the directory where you are writing Python code. Your project’s current working directory. Thank you, I got it now! I want to keep from a CSV file only two columns and use these numbers, as x-y points, for a k-means implementation that I am doing. but I want to apply my code on actual data. Sorry, I don’t have any kmeans tutorials in Python. I may not be the best person to give you advice. I don’t want anything about k-means, I have the code -computations and all- sorted out. I just want some help with the CSV files. Thank you for explaining how to load data in detail. I’m glad it helped Steve. I’m glad to hear that Fawad. You will need to load the data using Pandas then convert it to numbers. I give examples of this. With the goal of being able to say “If the color is black and white and lives in Africa, it’s probably a zebra.” …so each line represents the animal with a single color associated with it, and other fields as well. Would this type of format be a best practice to feed into the model as is? Or, would it make more sense to concatenate the colors into one line with a delimiter? In other words, it may not always be a 1:1 relationship, and in cases where the dataset is like that, what’s the best way of formatting? Great question. There are no hard rules, generally, I would recommend exploring as many representations as you can think of and see what works best. I am trying to load a line separated data. Ouch, looks like you might need to write some custom code to load each “line” or entity. can you tell me how to load a csv file and apply feature selection methods?? can you post code for grey wolf optimizer algorithm?? I have loaded the data into numpy array. What is the next thing that i should do to train my model? I want to use KDD cup 99 dataset for the intrusion detection project. The dataset consist of String & numerical data. So should I convert entire dataset into numeric data or should I use it as it is? Eventually all data will need to be numbers. which one would be better to use in this scenario: loadtxt() or genfromtxt(). Also, is there any major performance difference in these 2 methods? Use whatever you can, consider benchmarking the approaches with your data if speed is an issue. Can you please reply where I am doing wrong? You might have some “?” values. Convert them to 0 or nan first. I have multiple csv files of varying sizes that I want to use for training my neural network. I have around 1000 files ranging from about 15000 to 65000 rows of data. After I preprocess some of this data, one csv may be around 65000 rows by 20 columns array. My computer starts running out of memory very quickly on just 1 of the 65000 by 20 arrays, so I cannot combine all the 1000 files into one large csv file. Is there a way using keras to load one of the csv files, have the model learn on that data, then load the next file, have the file learn on that, and so on? Is there a better way to learn on so much data? You may have to write come custom code to load each CSV in turn. E.g. in a loop over the files in the directory. It suggests that x is not an array or a list. The numbers are in scientific notation and will be read correctly. Perhaps there are other non-number fields in the file? That is surprising, perhaps try a different approach to loading, e.g. numpy or pandas? Perhaps try posting to stackoverflow? I recommend loading all data into memory then perhaps concatenate the numpy arrays (e.g. hstack). If I have a data set with .data file extention how can I deal with it in python? Perhaps use a text editor to open it and confirm it is in CVS format, then open it in Python as though it were a CSV file. # You can load your CSV data using NumPy and the numpy.loadtxt() function. how to load the dataset from the working directory to colab? Sorry, I have not used colab. When I click the “update: download from here” to download the CSV file, it takes me to a white page with number on the left side which looks to be the data. How do I get / download this data into a CSV file? Thanks! I hope you can help me with the following preprocessed dataset.txt file. How can I load this dataset in python? It contains a total of 54,256 rows and 28 columns. Can I use pandas? You can load it as a dataframe or a numpy array directly. So my last question (hopefully) is that I have the dataset, the labels and a list of 28 titles for the columns. I am trying to load them in python so I can split them and create my training and testing datasets. I am not sure what to do with the titles. Do I need to load them as well? You can use the column heading as the first line in the CSV file and load them automatically with pandas. Alternately, you can specify them as the columns in python, if needed.